Tropical forests are an undervalued asset in meeting the greatest global challenges of our time—averting climate change and promoting sustainable development. Despite their importance, tropical forests and their ecosystems are being destroyed at a high and even increasing rate in most forest-rich countries. The good news is that the science, economics, and politics are aligned to support a major international effort to reverse tropical deforestation. Why Forests? Why Now? a new book by Frances Seymour and Jonah Busch, synthesizes the latest research on the importance of tropical forests in a way that is accessible to anyone interested in climate change and development and to readers already familiar with the problem of deforestation. It makes the case to decision-makers in rich countries that rewarding developing countries for protecting their forests is urgent, affordable, and achievable. This event was co-hosted by the Arndt-Corden Department of Economics, the ANU Indonesia Project and the Development Policy Centre. 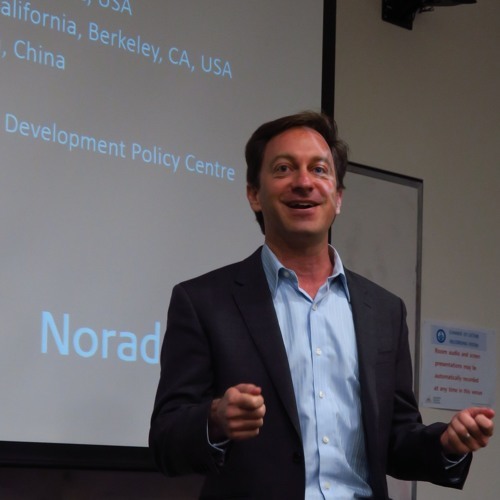 Jonah Busch is a senior fellow at the Center for Global Development (CGD). He is an environmental economist whose research focuses on climate change and tropical deforestation. He is a research fellow at the Center for Effective Global Action at the University of California, Berkeley and a visiting scholar at the College of Environmental and Resource Sciences of Zhejiang University in Hangzhou, China. Prior to joining CGD Busch was the Climate and Forest Economist at Conservation International.